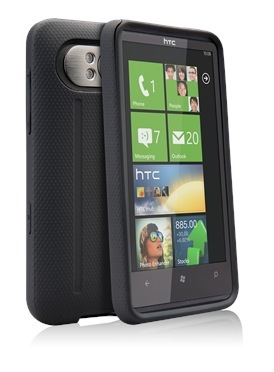 Case-Mate, who are one of my favorite case manufacturers, have just got a bunch of WP7 cases in stock. They have cases for the HTC HD7, Mozart, Trophy, Samsung Focus and Omnia. Not every model under the sun, but some of the more popular ones. Prices range from $9.99 ro $29.99, depending on what you want. Keep your eye on our store too, hopefully we’ll be getting some of Case-Mate’s WP offerings in the near future. What about a great case for the Dell Venue Pro?